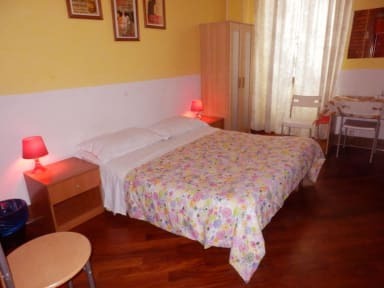 The location was great right across from the Galleria Nazionale d'Arte Antica museum and close to other attractions. The room was clean and very comfortable and I really appreciated that they had an air conditioning unit in the room to use (it was so muggy outside and this made the room very comfortable). Good value for a small boutique hotel. Location of the Hostel was great and very easy to find with the instructions provided. 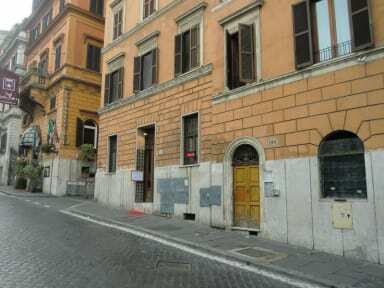 Close walking distance to the Fountain Trevi and the Metro. I would definitely stay there again! Fantastic location, easy to find and close to lots of popular tourist spots. Unfortunately because of this the area was very crowded with tour groups. Lovely hosts however beware the thin walls between rooms. Very nice; a little dated, but clean; couldn't beat the price; overall, I would stay here again! We had 3 nights and loved the location. The room was on the first level and only had a window to to central shaft. There is a lift. Air con was great. WiFi was great bathroom and shower terrific strong hot water. There was a small fridge, iron , kettle, tea coffee etc. bed was very comfortable. The room was quiet and dark as the two windows had electric shutters. 15 min walk to Termini with a suitcase. Opposite Barberini gallery. Easy walk to Trevi fountain and Spanish steps. Such good value. The room was very dark. There was never enough hot water. The owner was very nice and kept our room clean.